Har shakhs apne chand se . Wishing You a Very Very “HAPPY EID MUBARIK”With Love & Best Wishes. May This Eid Day Brings A LOT of Happiness And JOYS in Your LIFE. 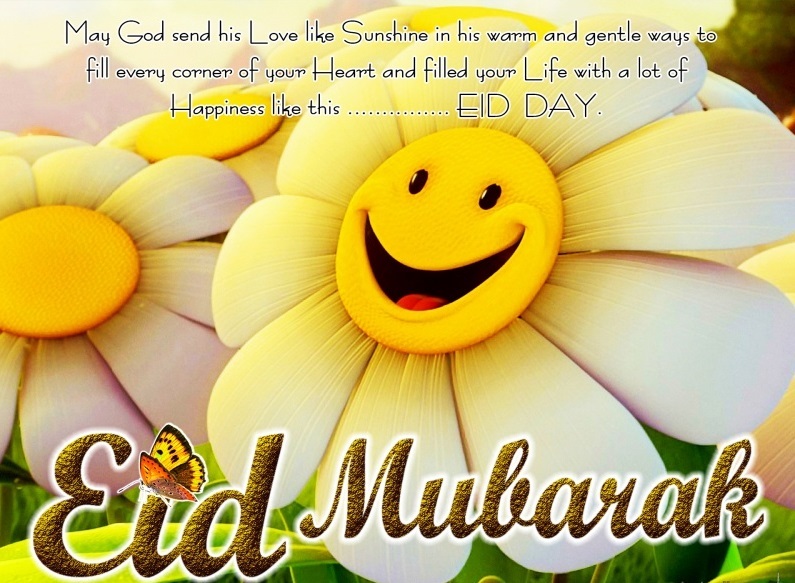 May God send his Love like Sunshine in his warm & gentle ways to fill every corner of your Heart and filled ur Life with a lot of Happiness like this EID DAY. Wishing u EID MUBARAK.